VOTE ORANGE HILL AS OC HOT LIST'S BEST BRUNCH! 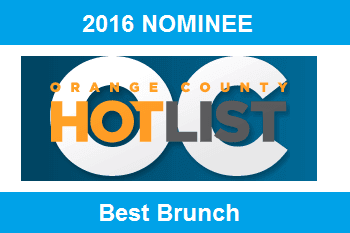 The Orange Hill team is excited to announce that we have been nominated for 2016 OC Hot List Best Brunch! We need your help and support to reach the #1 spot! Voting ends March 20th, so make sure to cast your vote HERE today!